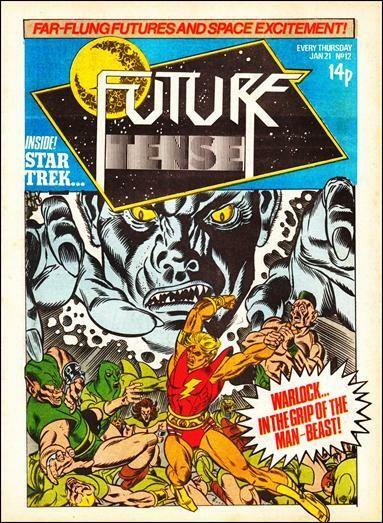 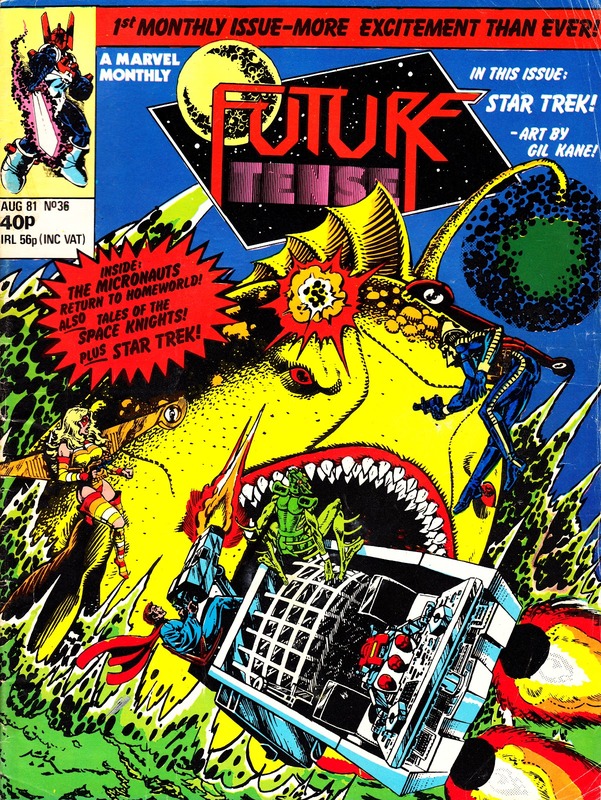 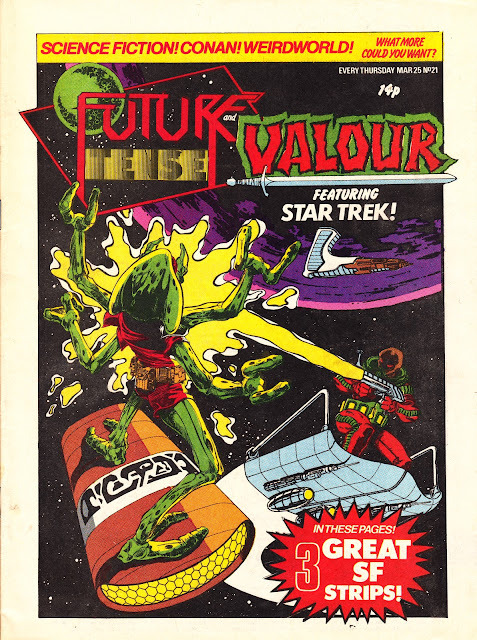 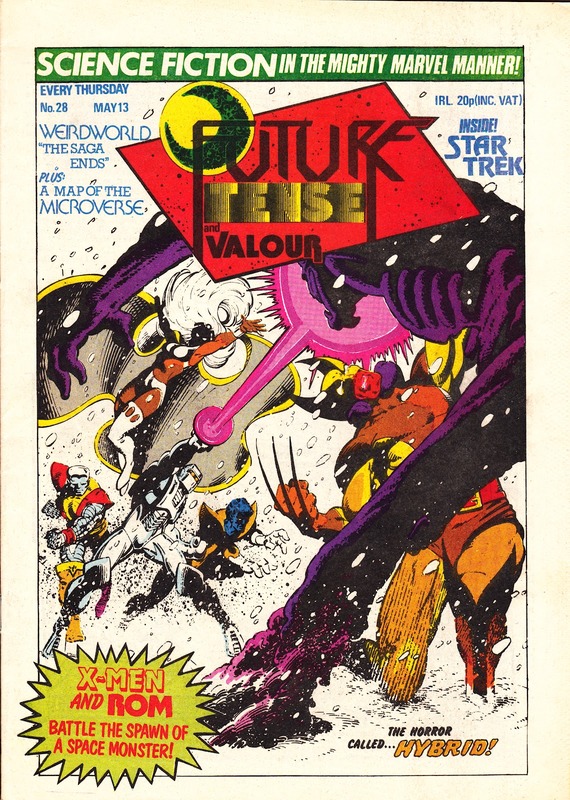 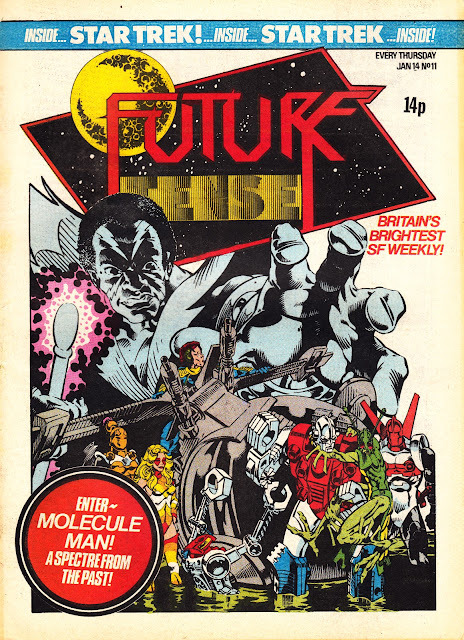 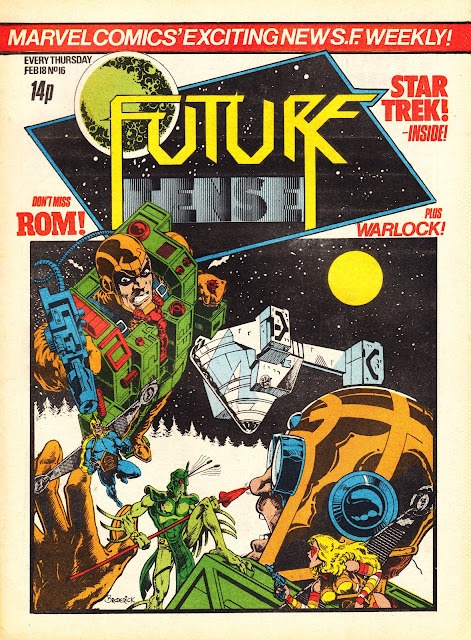 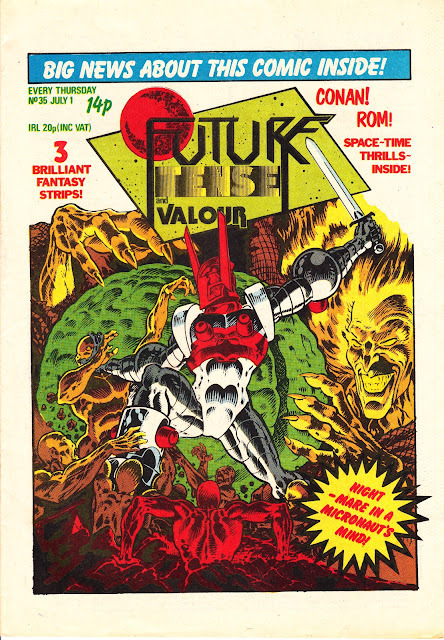 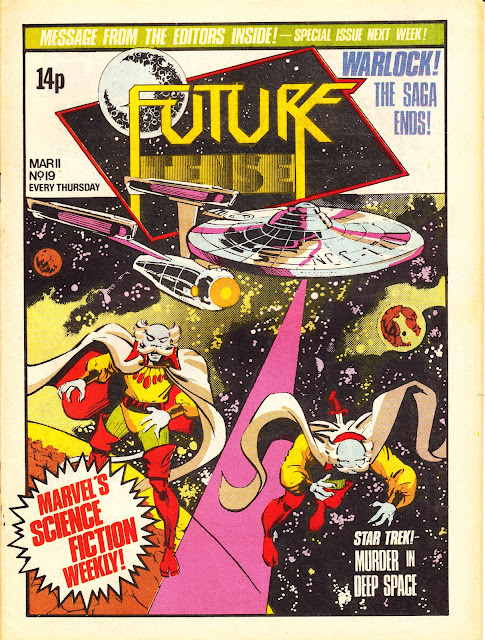 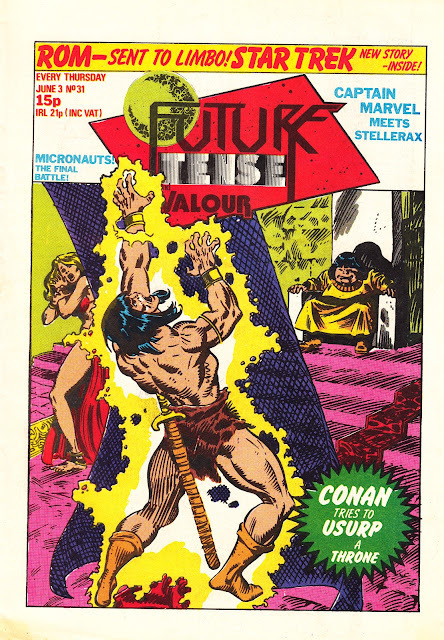 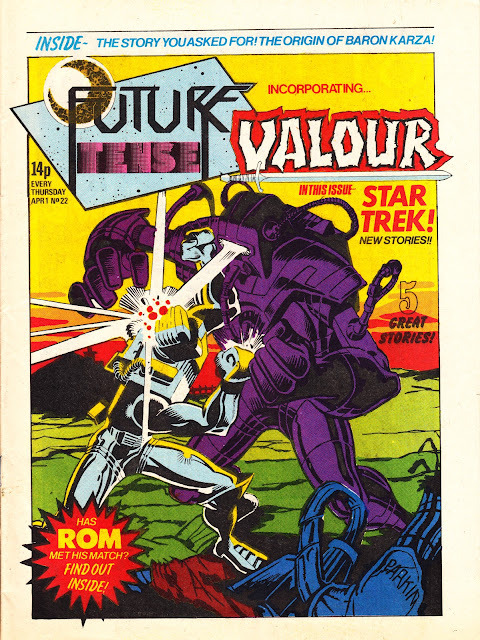 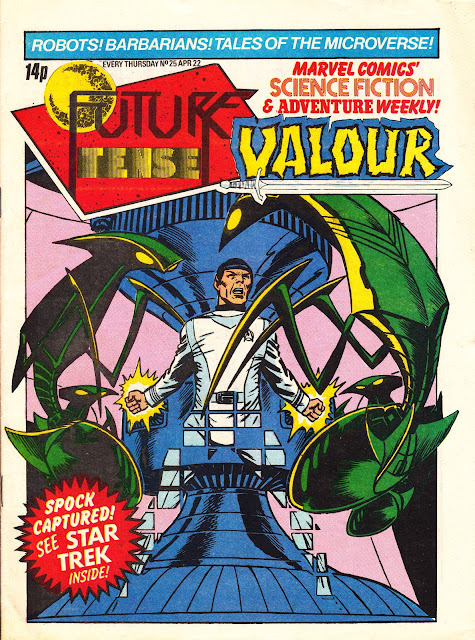 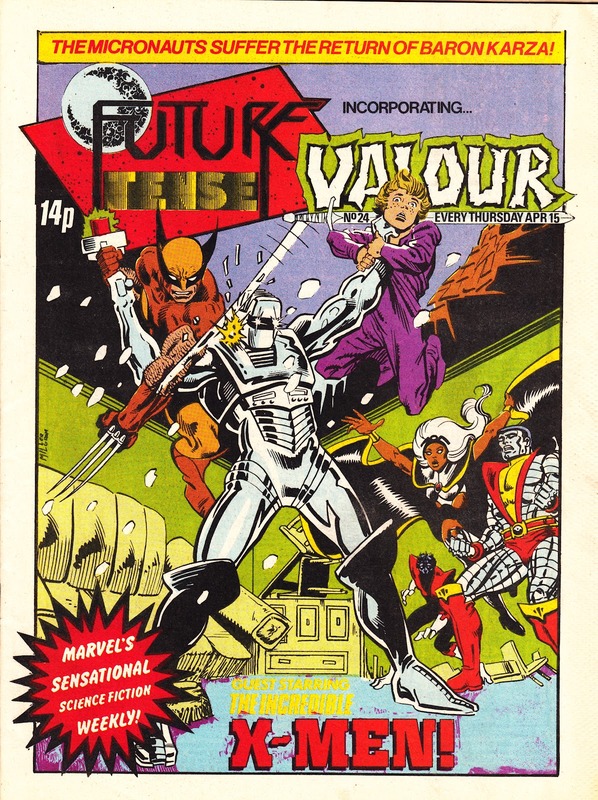 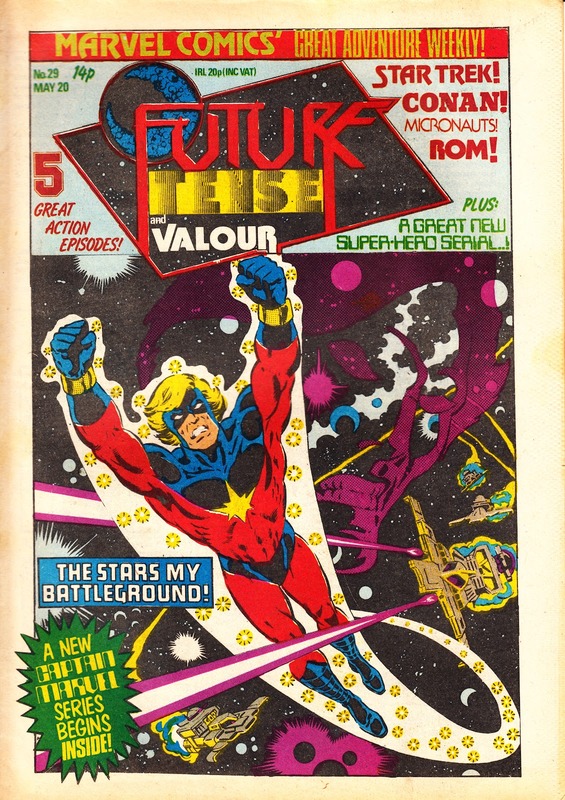 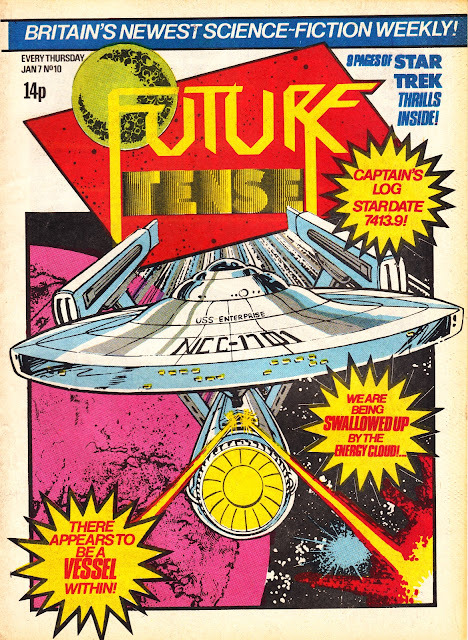 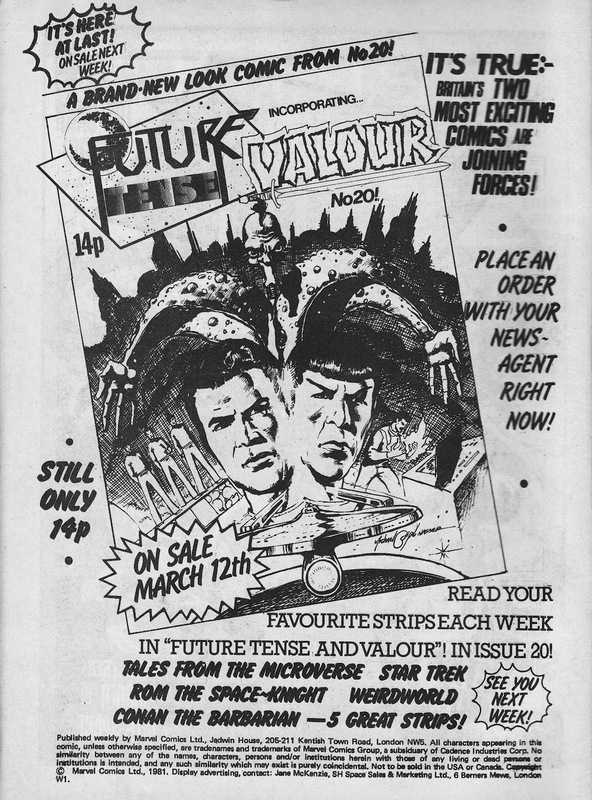 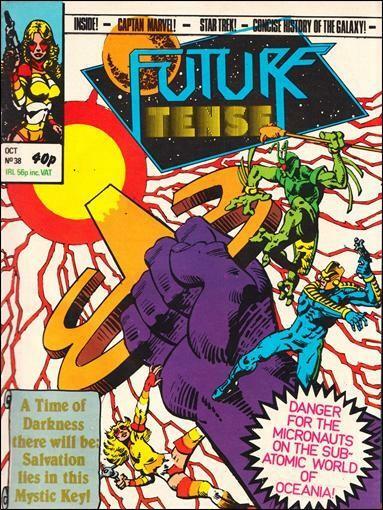 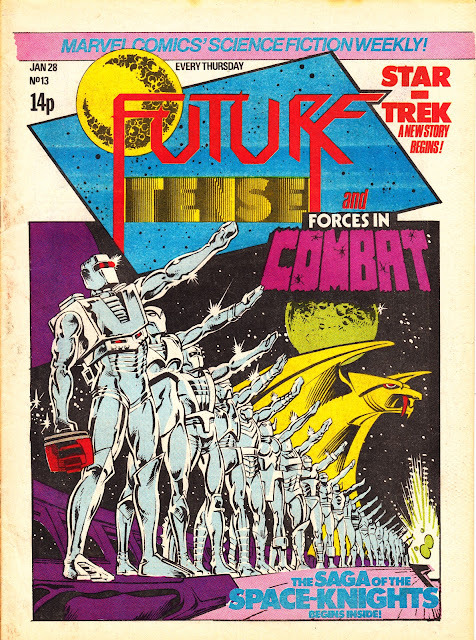 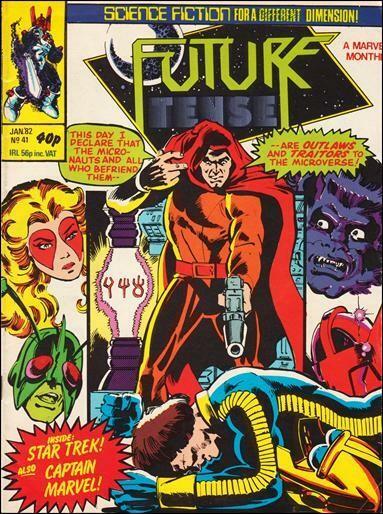 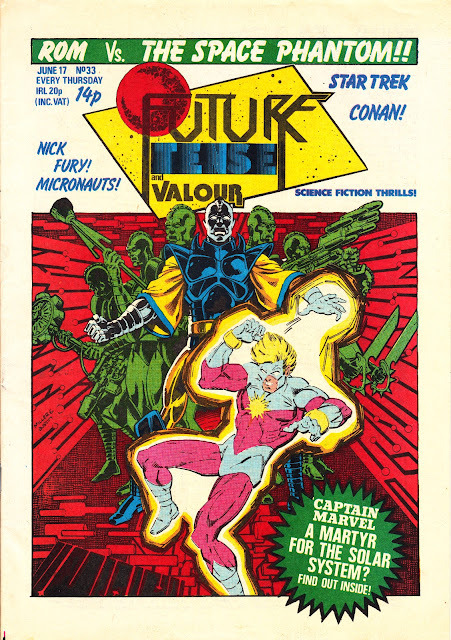 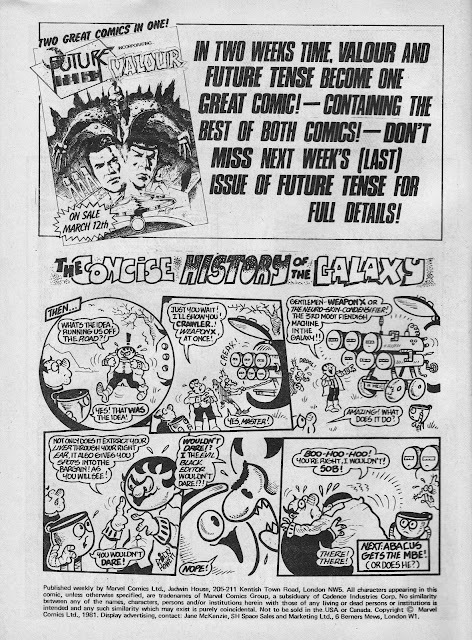 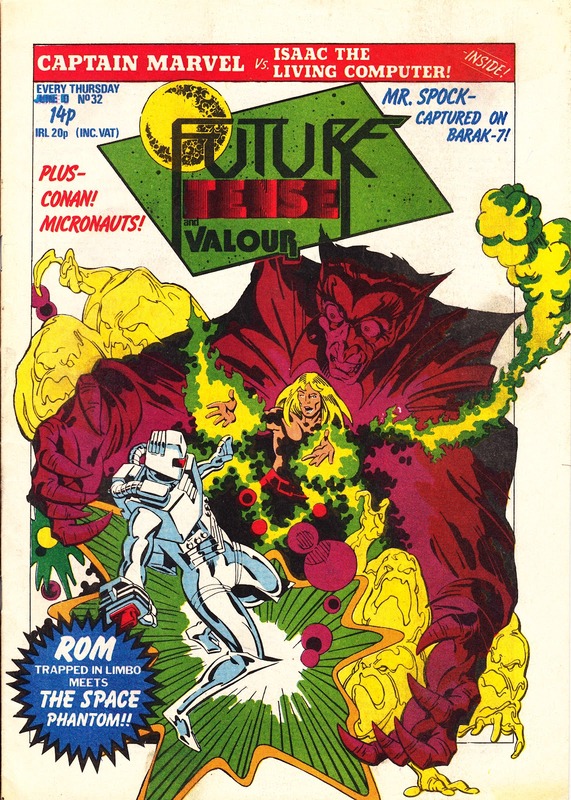 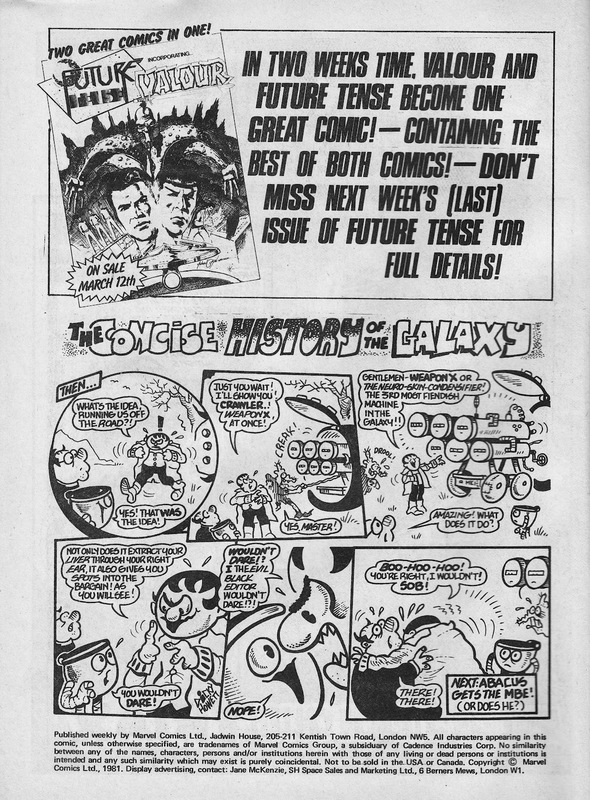 Slow-Robot's overview of Marvel UK's FUTURE TENSE concludes as it absorbs two comics and, eventually, switches to a cancellation-dodging monthly schedule. 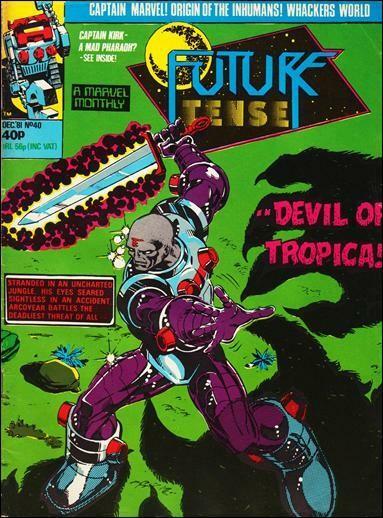 Absorbs ROM the Space Knight from FORCES IN COMBAT. 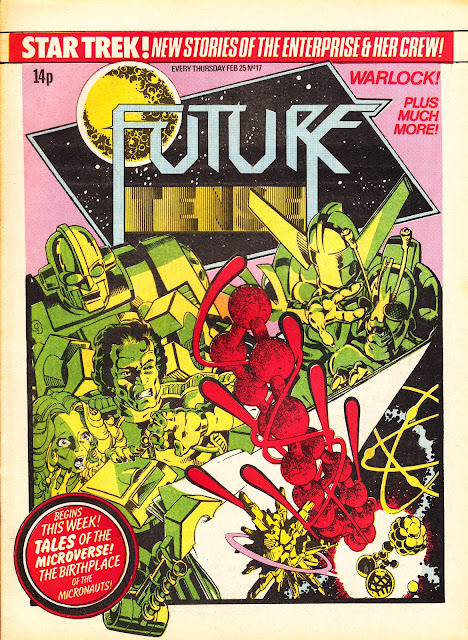 The FiC logo appears on the cover for one week only. 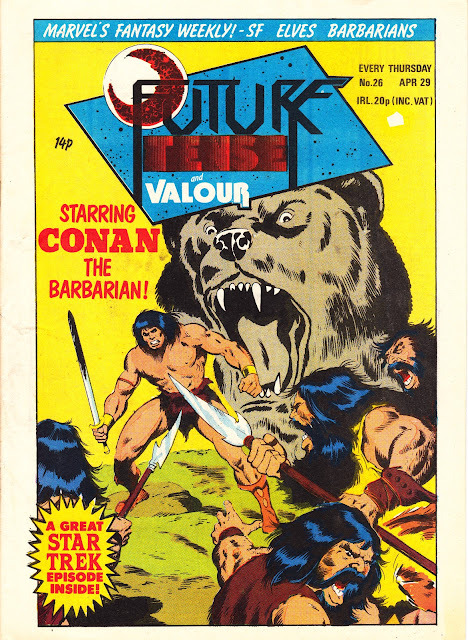 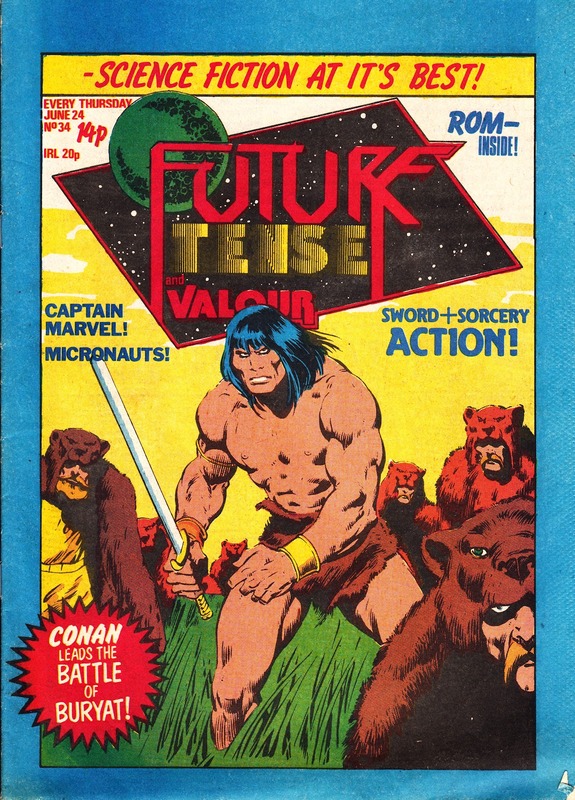 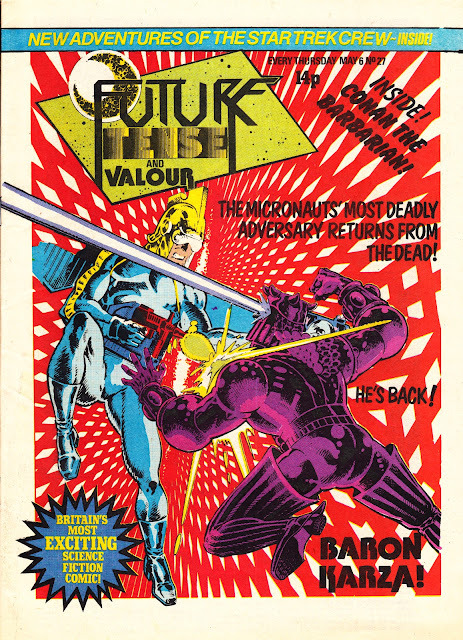 Absorbs Conan the Barbarian and Weirdworld from VALOUR. 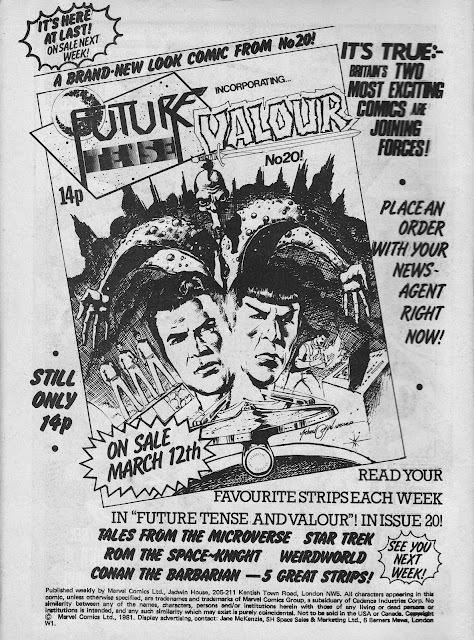 Officially becomes FUTURE TENSE AND VALOUR. 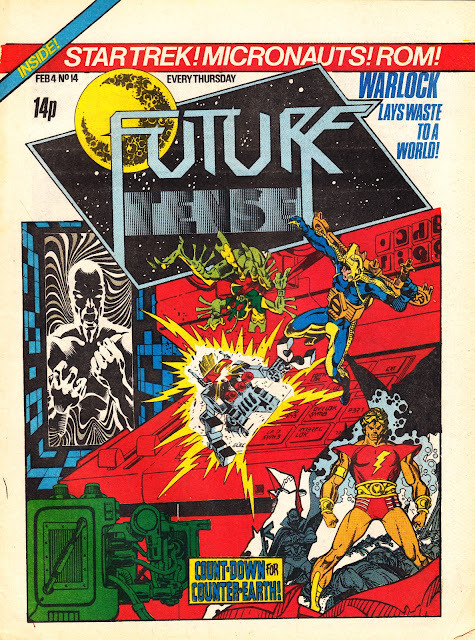 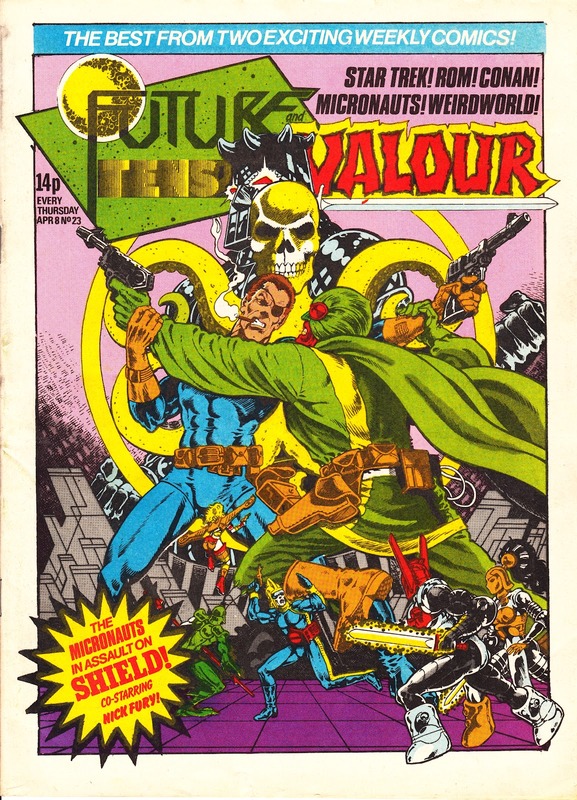 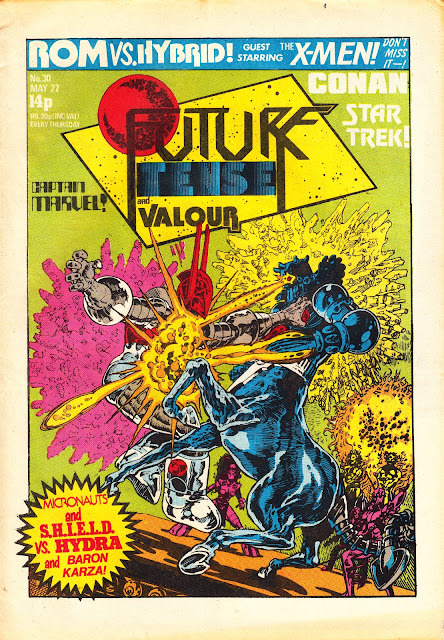 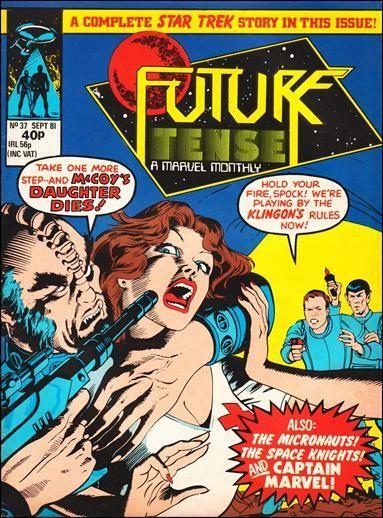 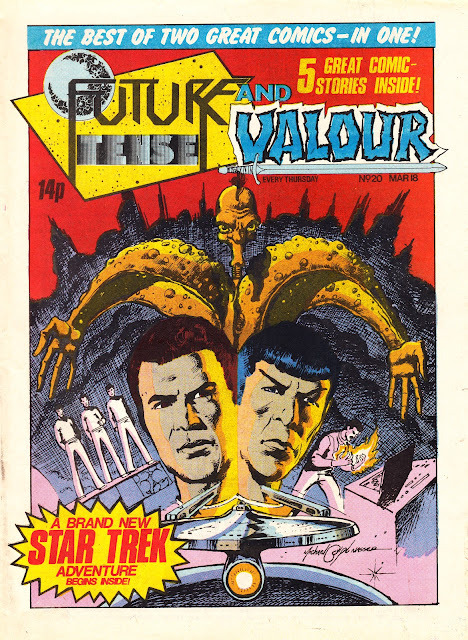 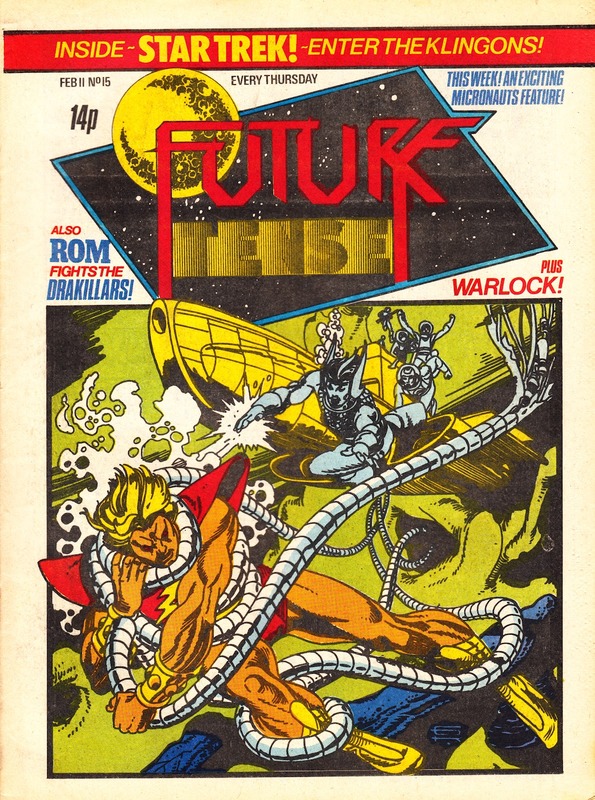 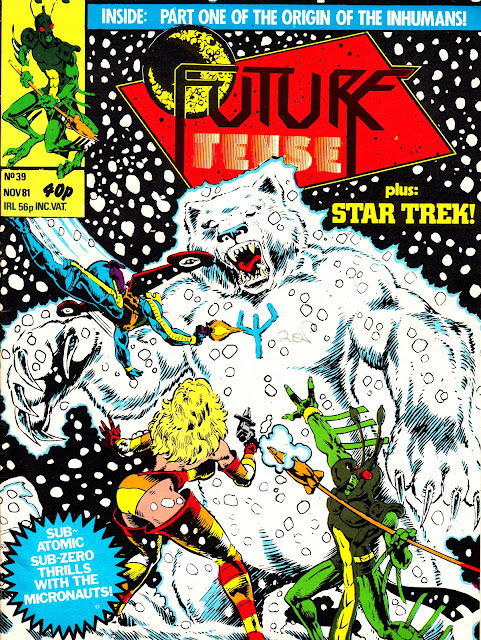 This issue appeared without a cover price.